Illegal UAE residents looking to regularise their status through the upcoming visa amnesty scheme have the option of applying for a six-month temporary visa as they look for a job, a top official said. For vacancies that come up in the country, priority will be given to applicants from this pool of job seekers registered with the Ministry of Human Resources and Emiratisation. 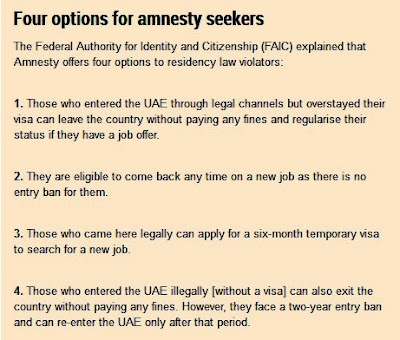 A six-month visa announced by the UAE government for amnesty seekers to stay back and search for jobs is a golden opportunity for them to start life afresh here. Although the UAE has granted amnesty to residency law violators several times in the past, it is the first time that amnesty seekers are getting a temporary visa to aid in their job hunt. Amnesty seekers who already have a job offer can immediately move to a residency visa during the amnesty period. Those who want to stay back but have not managed to find a job can avail of the six-month visa. 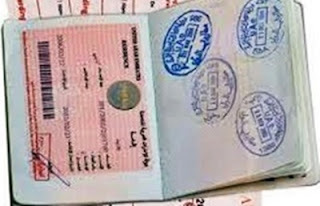 However, the six-month temporary visa and new residency visa will be issued to those who entered the UAE through legal channels only, as others who came here illegally will get a two-year entry ban. They can leave the country without facing any legal action including fines but can re-enter the UAE only after two years. The six-month visa will be issued to the amnesty seeker on his or her own sponsorship, said a statement issued by the Federal Authority for Identity and Citizenship (FAIC). The visa holder will be eligible to find a job in the government or private sector during these six months. If they get a new job during this period, they can move to the new residency visa. However, if they don’t find a job within six months, they have to leave the UAE, FAIC said in a statement. 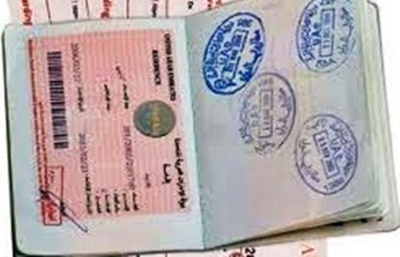 It is understood that they can come back to the UAE on a new visa as they are not subject to an entry ban. The authority is expected to announce the cost and procedures for the six-month visa soon. Amnesty seekers looking for a job can also register on a portal of the Ministry of Human Resources and Emiratisation (MoHRE), which will help them find jobs. Foreign diplomats of the majority labour-sending countries to the UAE told Gulf News that they welcomed this new step by the UAE and urged their compatriots to utilise the opportunity.